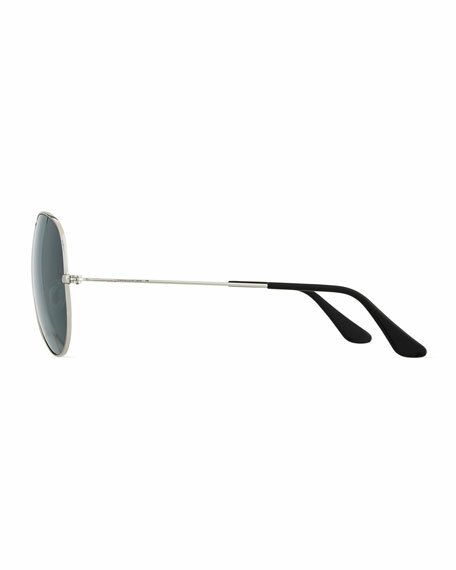 Ray-Ban® "Cry" metal aviator sunglasses. Mirrored aviator lenses; logo script at right. Silicone nosepieces for optimal fit. 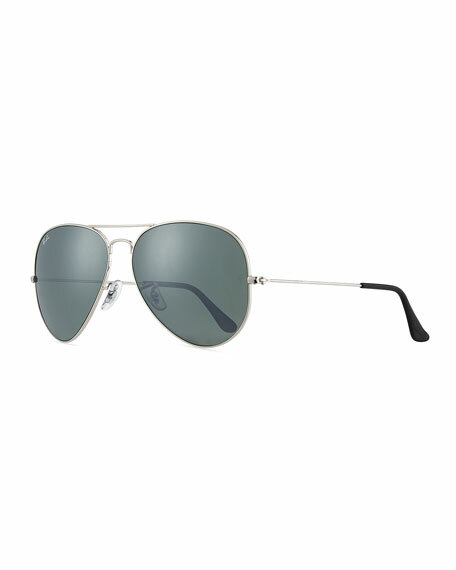 Ray-Ban aviator sunglasses in metal. Lens/bridge/temple (in mm): 58-14-135. Mirrored lenses; logo script. Double nose bridge; straight brow bar. Adjustable nose pads. Capped earpieces. Can be fitted with prescription lenses. 100% UVA/UVB protection. Made in Italy. 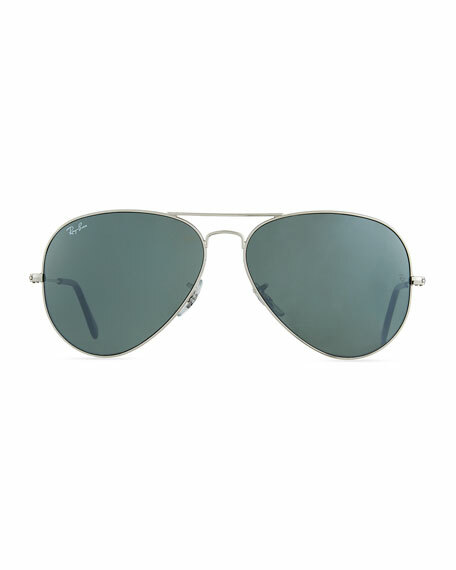 Ray-Ban aviator sunglasses. Metal frames. Solid-color polarized lenses; script at right. Double nose bridge. Straight brow bar. Capped ear pieces. 100% UVA/UVB protection. Made in Italy.